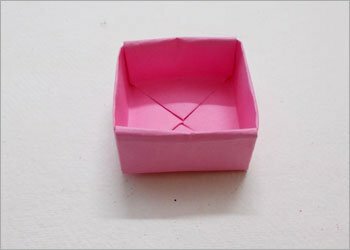 Easy Origami DIY Craft : How To Make Origami Candy Box! Origami Candy Box : Let’s Make Cute And Easy Origami DIY Craft For Kids! DIY Origami Projects have always been the first choice amongst avid crafters when it comes to making easy and fun kid’s crafts at home. 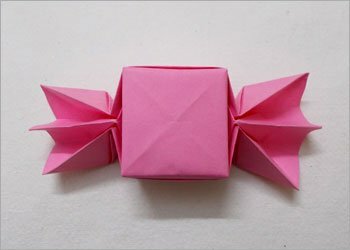 With me, you can learn how to make a cute and easy Origami Candy and become an expert at making cute handmade gifts ideas. Every person who loves making handmade gifts loves to work with Origami Art. 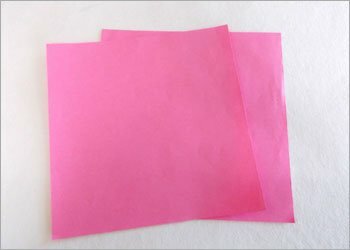 Origami paper modelling consists of various paper folding techniques that aid you in making a variety of Origami paper models. This Origami Candy Box is a cute kid’s craft. 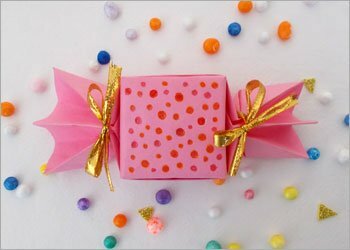 Apart from being a fun art and craft activity for kids, this Paper “chocolate candy gift box” can be used for DIY projects for kids in preschool too. 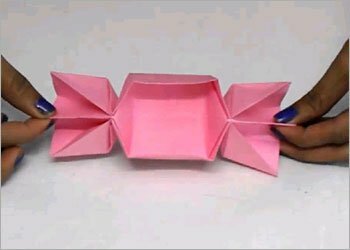 Let us have a look at how to make a pretty Origami Candy Box. Begin by taking a square measuring 20 cm on each side. Fold the square in 4 sections each measuring 5 cm. Fold the paper lengthwise for this step. Now you have 3 creases in your paper lengthwise. Fold the paper breadth wise to get 4 more sections, this time breadth wise. Now you have 16 small squares with the help of the 8 creases made lengthwise and breadth wise. 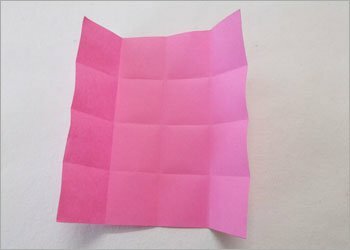 Fold the paper from both sides to get to flaps in the centre. 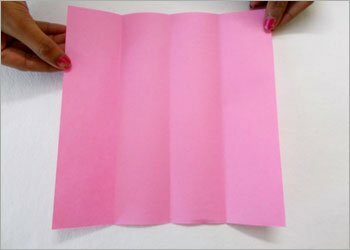 Re-fold the paper to get two more creases on the flap. Flip the paper and fold to get two opening flaps on the other side. Fold the paper from both the corners and re-open those folds to make cross patterned crease on both the edges. Fold the corner edges upwards and shape them with your fingers, to form the twisted wrapper ends of the Origami candy Box. Stretch the paper and open it outwards to make the cover. This will leave you with a small square shaped space in between. Shape the edges to give the candy box a sharp look. To begin making the inner container of the candy box, take a paper, and fold it twice diagonally to get a cross crease across the paper. Fold the corner triangles inwards and refold all four corners once more. Fold the square yet again matching the two lengths and two breadths. Open the opposite folds and refold the opposite side to get a long two flapped trapezium. Cinch in the paper and insert the remaining flap inside the other folds and shape the box to give the edges sharpness. Cover this box with the lid you made earlier. There you have your very cute, creative and easy Origami Candy Box, an absolutely smashing and fun paper craft that you can very well make use of during the Christmas Festivities, on a friend’s birthday or even stuff it up with sweets and a love note and use for Valentine’s day Gift idea for your special someone, and give handmade gifts a new and cute twist. Learn how to make this cute and pretty Origami Candy Box and have fun! Birthday Card Ideas : How To Make DIY Pop Up Birthday Greeting Card! DIY Easy Crafts : How to Make an Easy Origami Flower! DIY Christmas Decorations Ideas That You Will Surely Love! How to Make Useful DIY Cardboard Desk Organizer? Easy DIY Projects : How to Make Quilling Wall Decor for Your Home! Easy DIY Crafts : How to Make DIY Colorful Leaves Using Paper! Kids Craft Ideas : How to Make a Christmas Tree for Festive Season?